According to a report reaching us that the Boko Haram insurgent group who tried to invade a military barrack has been dealt a huge blow. 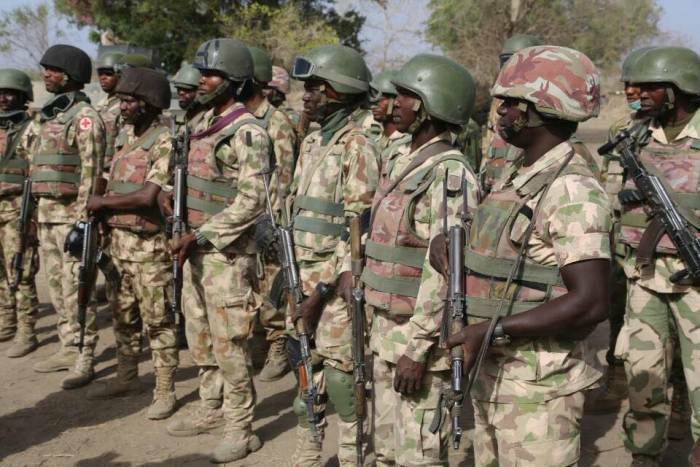 The report revealed that Troops of 143 Battalion, 28 Task Force Brigade, Sector 1 Operation Lafiya Dole deployed in Madagali, Adamawa State had on Saturday, 9 February 2019 successfully dealt a big blow to Boko Haram Terrorists(BHTs) following an attempted attack by the terrorists to infiltrate the Camp. The terrorists who stormed the location in gun trucks and met their Waterloo through stiff resistance coupled with massive firepower from the troops and inflicted serious casualty on the terrorists and their equipment. The troops in their effort successfully held their ground, disorganized the terrorists who later lost momentum and retreated in disarray.